Benda knows the considerations for moving product quickly and carefully while diverting direction in the production line. 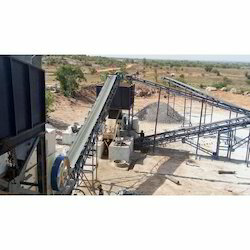 They've developed four types of sanitary divert sorter solutions in order to accommodate for the various product weights. Our tool-less removable slats are easy to extract for easy cleaning and sanitation. Price Range: Rs 50000 to 1, 00, 000.
e are leading manufacturer of different types of Modular Belt Conveyors links horizontal conveyors, side flex conveyors, multi flex conveyors, inclined cleated belt conveyors, sidewall cleated belt conveyors. We are one of the well-distinguished companies in the market that is into offering Printing Conveyor.